Algin Furniture is located in the heart of Downtown Cincinnati, serving the Greater Cincinnati area with office and home furnishings for over 50 years now. 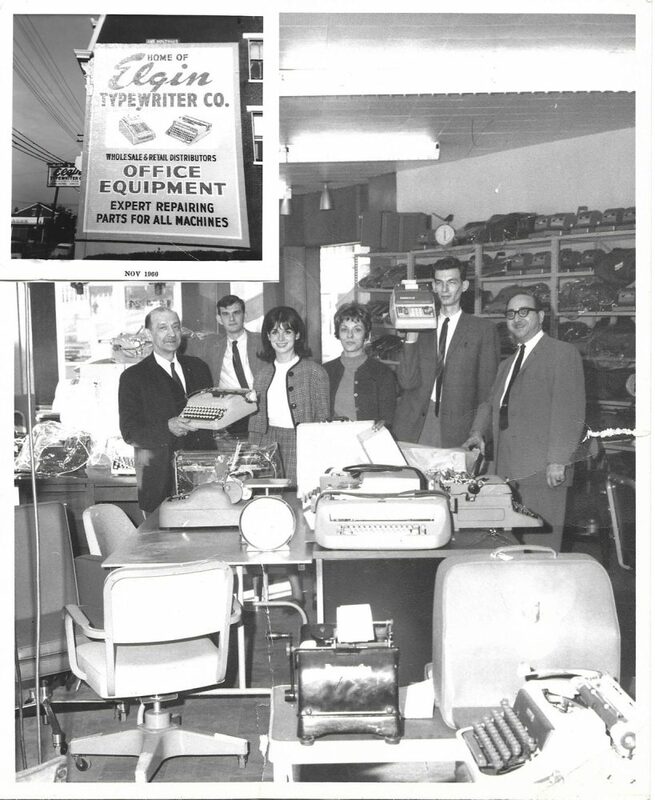 Algin Furniture started out as Elgin Typewriter Co., specializing in selling typewriters & guns. With 7 floors of furniture at Algin Office, carrying new & used home and office furniture, as well as vintage Mid Century Modern furniture. Tour our 7 floors of furniture, you never know what you’ll find! Algin Retro Furniture, located on the corner of 8th and Main, carries a large variety of custom sofas and chairs, as well as dining room furniture, Mid Century Modern reproductions, upcycled items, and local art. Our custom Live Edge Wood line, Urban Timber, sources salvaged logs both locally (Cincinnati) and in upstate New York turning them into beautiful Live Edge Wood tables, counter tops, and shelves, made in Cincinnati by local artisans.